Professional & Experienced Web Designers 208 Designs LLC is a U.S. company and has been in the web design business since 2007. Your website will be designed by one of our Professional & Experienced Web Designers, who will do their best to deliver you the aesthetically pleasing website you deserve and at a cost you can afford. When you choose 208 Designs as your web design company you get a partner for your online success. Your Feedback & Approval To ensure your complete satisfaction we will build your site in a hidden folder under our domain allowing you access to each and every page. This empowers you by giving you the ability to offer creative feedback and input regarding the changes that you desire from the comfort of your home or office. We will work with you step-by-step through the development process to ensure the site is meeting your expressed needs and exceeding your expectations. Once we have mutually agreed that the site is finished and ready to publish – then, and only then, are you obligated to pay us the balance for our web design services. Once we have received payment we will publish your website to your domain. 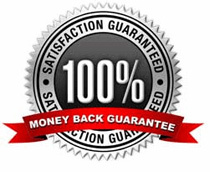 Money Back Guarantee Our goal is to provide high quality, professional service to all of our clients. If you’re not satisfied with your new website, we offer a refund guarantee of up to 100% of the advance paid. Before 2nd round of revision request during the mockup phase. Refund Policy applicable to all purchases made on or after October,2011 only. Refund is not allowed once two rounds of revisions are requested. The website is owned by 208 Designs LLC. until the client has been with us for the period of 1 year, after this period of time has expired then the ownership of the website is the clients. If the client wishes to transfer the website to another hosting company there is a $250.00 transfer fee. The mission statement of our company, 2|0|8 Designs, LLC, is to find creative branding, advertising, and marketing solutions for small, medium, and large businesses. Especially for busy business owners.